#ThatBusinessShow celebrates show 100 today, ending our 20th week on air since the launch on February 2nd on 1250WHNZ. 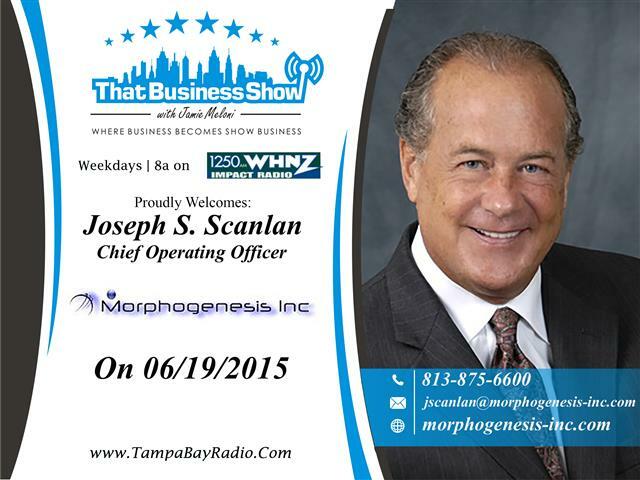 It’s been a phenomenal show to date and has introduced me and the Tampa community to amazing professionals and what they are doing in their business and area to make a difference. Visit http://www.tampabayradio.com for more information on the show! 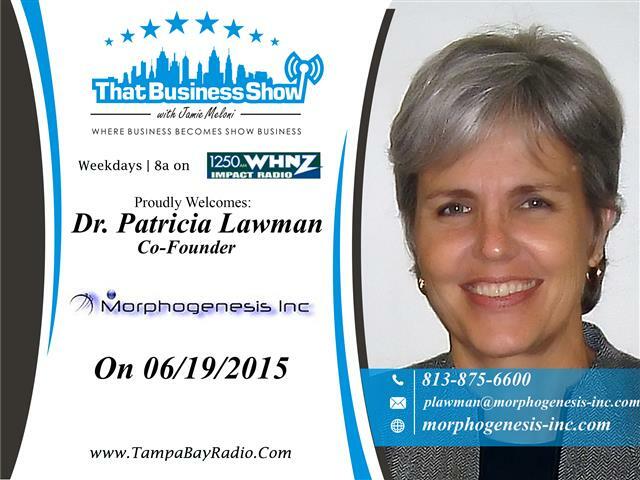 Today’s show focused on Cancer research as I welcomed Dr. Patricia Lawman, Co-Founder of Morphogenesis, along with Chief Operating Officer Joseph Scanlan. This Tampa based company has been in operations for 20 years and has produced a Cancer vaccine that has shown great results in the treatment of all cancer types in dogs, cats and horses. Currently, the company is working through clinical trials to get the vaccine to market for use in humans and we discussed the challenges they face battling regulations as one of our many talking points on this show. The vaccine in short works by labeling cancer cells in the body with a genetic marker that tells the immune system they are foreign objects and should be eradicated by the immune system. The challenge with cancer now is that the cells produce so many mutations that they go undetected by our immune systems and continue to multiple leading to tumors and eventually death if unchecked. ImmuneFx is the name of the cancer vaccine and treats all cancers and comes without side-effects which is welcome news to cancer patients as one of the biggest challenges in cancer treatment is also treating the side-effects of the drugs and radiation therapies used in the battle. This treatment is currently available for pet owners and if you are affected by a pet with cancer, be sure to talk to your veterinarian about this option. Also, the company is open to hearing from interested investors looking for opportunities to assist them grow and get their research and products out to a broader audience. The hope is that one day, this will be the cure for cancer! Learn more at http://www.morphogenesis-inc.com and Dr. Lawman can be reached via email at plawman@morphogenesis-inc.com for more information on the research and vaccine and interested investors should contact Joseph Scanlan via email at jscanlan@morphogenesis-inc.com.